Lewis Smallwood becomes one of the first Tamar Engineering Project scholars as the project launched in full in September 2017. Lewis Smallwood is a highly ambitious first year Computer Science student. His entrepreneurial aspirations include setting up his own digital design and engineering firm to help solve problems using technology on a large scale. His entrepreneurial drive caught the attention of the selection panel of the Tamar Engineering Project (TEP), and secured Lewis a place to receive financial support throughout his study here plus invaluable one-to-one mentoring from a high-level industry professional. “When I heard the news that I was accepted onto the Tamar Engineering Project, I felt completely thrilled and excited for all the opportunities the project will unlock,” said Lewis. Lewis is being mentored by Michael LeGoff, CEO of Plessey through the University’s Employer Mentoring Service. Michael mentored a student for the pilot year of the project 2016-17 and saw the benefits first-hand. Michael’s former mentee, Brian Viviers, attained a first class honours and the experience gave Michael an invaluable insight into the mind-set of a student and potential future employee. Michael will help Lewis to develop essential non-academic skills such as networking, confidence building, and business etiquette whilst guiding Lewis towards his career goals. 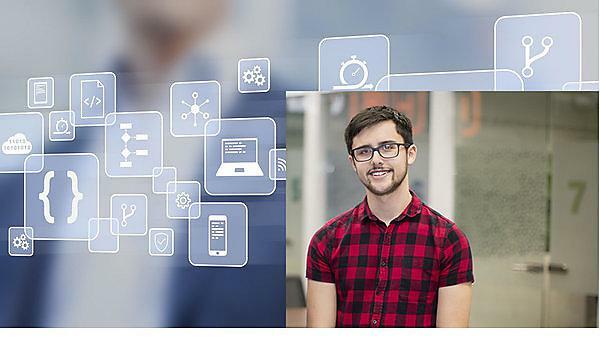 “As a software engineer and computer science student, I love creating solutions to solve real-world problems using computers,” said Lewis. Up to five students will be accepted onto the project each year up to 2020, each receiving financial support and one-to-one mentoring throughout their engineering study here. Applications open in January and close at the end of May.